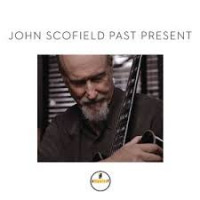 For those of us who found ourselves swept away by the funk and soulful precision of early seventies releases like the Crusaders' Chain Reaction, John Scofield's latest offering will find a grateful audience too long spoon fed and spiritually starved on lush over-productions. A Go-Go gets down to business with no-nonsense production values and grooves. Scofield's strings sing through melodies laden with R&B hooks and southern fried blues, wailing, jibing, taunting, and preaching to us the gospel of urban funk. 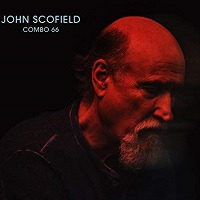 Despite what may be a return to safe, familiar radio-friendly territory for Scofield, instead we're treated to an ambitious and yet genuinely felt jazz-pop instrumental. A Go-Go stands clearly as one of the year's top fusion releases-but these tracks deeply mine Scofield's blues and Blue Note roots, such that the "fusion" label can only be applied here in a narrow and out-of-kilter way. Isn't that the case with all strong jazz in the fusion vein? 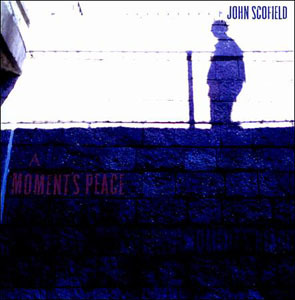 Not to discount Scofield's chromatic flights into bizzare little vignettes and his athletic, angular progressions. 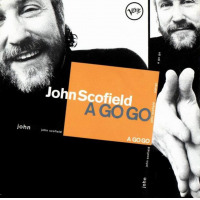 What comes through is how much fun Scofield had in crafting and recording these pieces-the side of Sco that can certainly command applause alongside an Anthony Braxton or Cecil Taylor takes a nap in the back seat for the most part. Here hip-hop shuffles dance to the relaxed pumping of Billy Martin's acoustic traps. "Chank" takes off on a classic James Brown vamp, and the mixed chord voicings of organ and Sco's hollow-body honk with texture richer than molassass; clever and hip melodies give way to ferocious soloing underpinned by slamming grooves. Scofield's guitar and John Medeski's organ are weaving in and out of a urban tarantella twisted further by an ideal and versatile rhythm section. "Jeep On 35" is that light and airy style of fusion propelled by soulful acoustic strumming, that seems made for a summer day's coastal drive. As the grooves escalate, this funky vehicle increasingly overheats into a steamy, intoxicating funk. Given the tasty chunks of Hammond B3 organ and Wurlizter electric piano thrown into the mix, there's a decidedly early 70s NYC urban fusion vibe. The tracks are arranged meticulously with no shortage of delicious, quirky changes-the kind of stuff you imagine popsters of the Walter Becker/Donald Fagen variety taking their cues from. 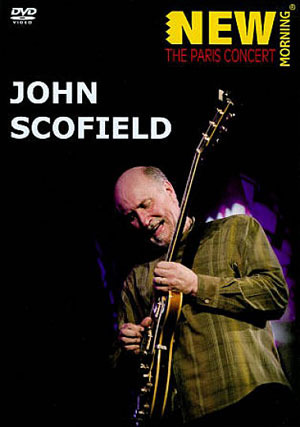 This is what happens when a serious jazz artist again takes their cues and melodic clues from urban streetsScofield's guitar tells his audience about the realities of fast cars and their thundering radios, clamoring dives, and serpentine swaying hips without need for words or synthesizers. Given the general level of musicianship in evidence, Scofield's tracks make for a perfect Sunday afternoon for all who that like their stiff shot of blues chased by the odd chord so characteristic of pianists like Bill Evans or Dave Brubeck. 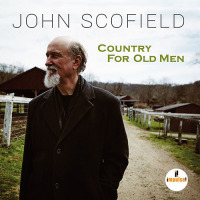 Such is the singular charm of John Scofield, who serves up a jazz concoction that dances that narrow alleyway between extremely relaxed and extremely serious music, and it has all the earmarks of a "breakthrough" for Scofield in terms of airplay (as if radio could really be this hip). Track Listing: A Go Go; Chank; Boozer; Southern Pacific; Jeep on 35; Kubrick; Green Tea; Hottentot; Chicken Dog; Deadzy. 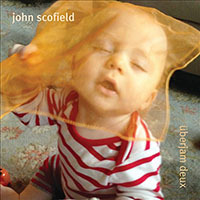 Personnel: ohn Scofield: guitar; John Medeski: organ, piano; Chris Wood: bass; Billy Martin: drums.